Down's Jerome Johnston in action with Monaghan's Drew Wylie. Jerome Johnston could be available for Down's Ulster SFC opener against Antrim on May 26 after returning to club action over the weekend. 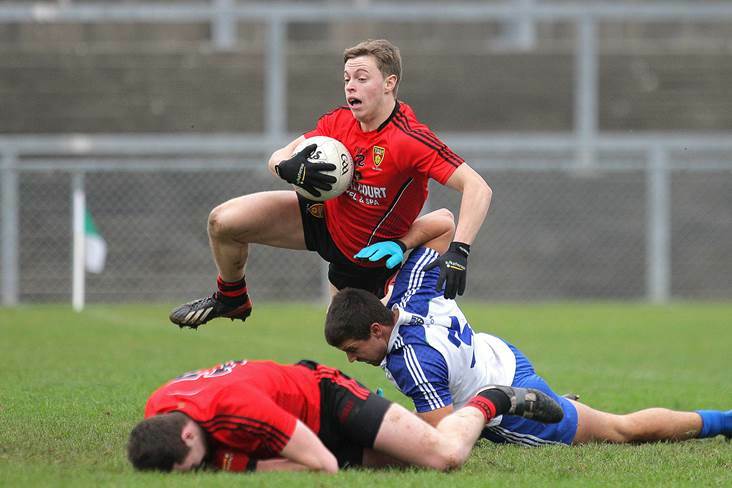 The talented forward saw action twice as a substitute in Kilcoo's All-County League Division 1 games against Saval and Ballyholland on Friday and Sunday respectively. He wasn't expected to figure for the Mourne County this year after departing for Australia at the end of last year, but his return to the Kilcoo colours has fuelled speculation of a possible return to Eamonn Burns' squad for the championship. Down could do with a boost after a disappointing Allianz League campaign culminated in relegation to Division 3.